Some times we tend to associate music technology with modern electronic instruments or with computer based software instruments. The term MIDI is very familiar within electronic musicians, synthesizer players or DJ producers but it’s hardly associated with classical guitars or even less with traditional flamenco guitars. Some more adventured guitar players are used to see or play MIDI electric guitars, that have been in the market for few years now as specific instruments or adapted electric guitars with special pickups and MIDI converters. 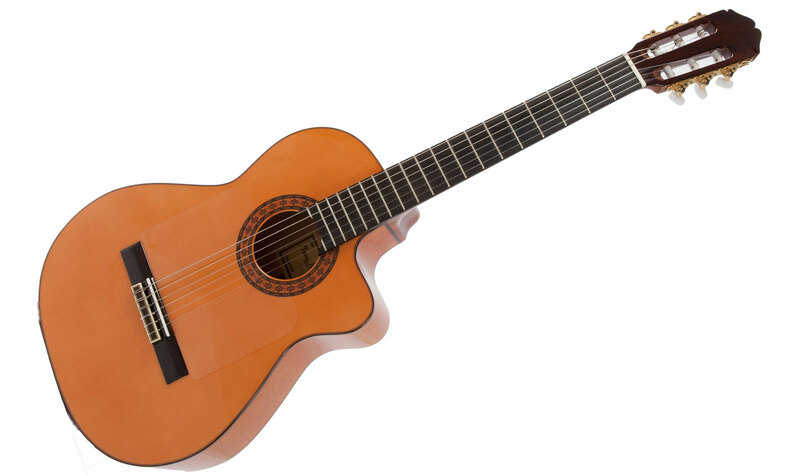 The first popular nylon guitars with MIDI where the Godin Multiac series, a kind of special nylon strings guitar with a MIDI pickup that can be connected to a MIDI guitar system like the Roland GR series. They performed well as a MIDI guitar but their result as a classical guitar when not connected where very poor or null, particularly with the solid body versions of those guitars. Adaptations for electric guitars was solved by Roland with the combination of MIDI pickup and converter of the GR systems but for classical and flamenco guitars the solution was more difficult until the RMC system appeared in the scene. 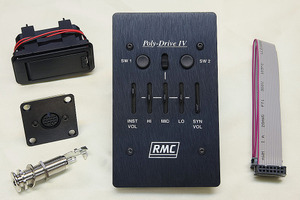 The RMC system is a combination of special divided pickup tailored for the acoustic guitar in combination with a preamp that send a precise signal to the MIDI converter. This is the same system first introduced in the Multiac series from Godin and now available for traditional classical and flamenco guitars. The combination of a quality flamenco or classical guitar with the RMC MIDI system is the most satisfactory solution for the classical or flamenco guitarist so far. They don’t have to choose an specific guitar to have the benefits of MIDI and they can still play a traditional quality guitar with the possibility of using the MIDI pickups when they want. When MIDI is not in use, those guitars perform as expected, with the same sound, action and feel then you are supposed to find in a good classical or flamenco guitar but when you connect your guitar to a MIDI converter and a synthesizer or sound module, you can trigger notes or chords of a piano, strings, brass instrument, synthesizer pads or any imaginable instrument combined or not with the natural sound of your guitar. In the video of Chema Vilches you can hear how in some parts of the song he is triggering some notes of other stringed instrument along with the notes and sound of his Raimundo flamenco guitar. The result is fantastic, like to guitarists playing at once. 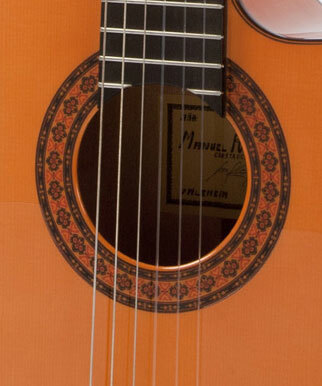 Focusing in the Raimundo 646 MIDI Flamenco guitar we have here a guitar that on its own is a fantastic all solid good quality flamenco guitar. We have a solid spruce top of very well selected german spruce, solid spanish cypress for the back and sides, ebony fingerboard with dots, transparent pick guard, and special golden tuners. The guitar is totally hand made and you can feel it by the smooth finishing and the attention to detail. Even with the Poly-Drive IV System mounted in it the guitar still very light and comfortable, the cutaway body also contribute to that feeling. The natural sound of the guitar is full and crispy with a great balance between low and high notes. Its got that sharp attack that good flamenco guitars have and as soon as you hit the notes, the guitar respond. The action is so good, particularly for me. I’m not a classical guitarist and I appreciate the action of flamenco guitars. They let you play anything, from flamenco (of course) to bossa nova, jazz, folk or classical, so sweet sounding and inspiring… But yes, flamenco is its element and for that is superb. The “ligados” and “falsetas” are so easy to perform and the “rasgueados” sound’s like a shot. 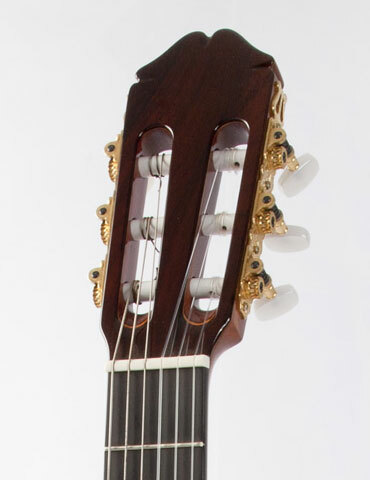 But the Raimundo 646 MIDI is more than a great flamenco guitar. 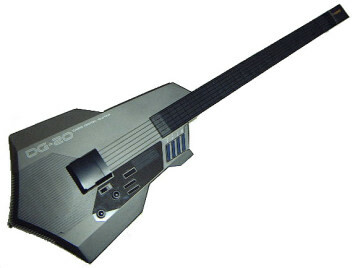 Like a Chameleon this guitar when connected to a MIDI converter thru a synthesizer or a computer with software instruments can play a universe of instruments in a live performance or recording tracks in the studio. 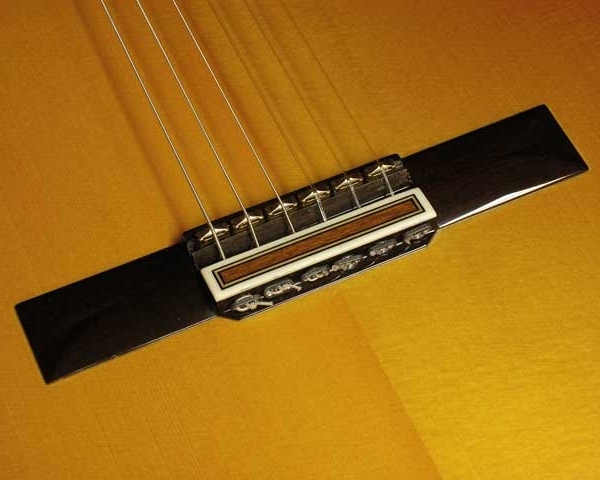 The RMC Poly-Drive system is installed at factory by the Raimundo luthiers up to perfection. You can see the divided pickup perfectly integrated in the bridge allowing each string to deliver a perfect signal to the preamp and to the MIDI converter. That is a crucial point in the installation of MIDI pickups and one of the main reasons that should be done by expert hands preferably during the manufacturing process. The result is great. Connected to the Roland GR-55 and playing a piano sound we can feel no delay triggering the notes of the piano nor false or hidden notes. Of course you have to understand what instrument you are playing and apply the right pressure to the strings and the right expression. If you apply bending to a piano sound it will not sound very convincing but you can do that with a saxophone sound and give it a very realistic expression. 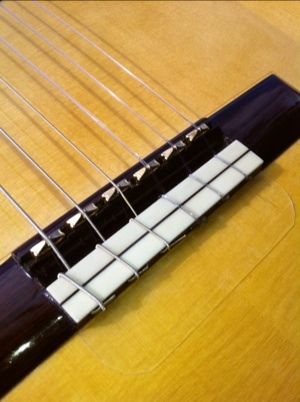 The RMC Poly-Drive system mounted in the Raimundo 646 MIDI will also perform as an ordinary pickup system for amplifying the sound of your guitar and will do it like one of the best pickup systems available out there so if you only need to amplify your guitar without the MIDI option that’s already there. Just plug your guitar in to an amplifier or PA system and you will be jamming along instantly with a great sound. One important thing to remember for those who are not familiar with MIDI guitars is that the RMC Polydrive System is not a MIDI converter but a polyphonic pickup system that delivers individual signal for each string of the guitar and make it compatible with most guitar to MIDI converters like the Axon AX SO, Axon AX100 MKII or the Roland GR-55 with sound module on board. Once you have the guitar plugged into one of those devices, you can control via MIDI any synthesizer, sampler, sound module or soft synth in your computer. For your computer you would need a MIDI interface as well. 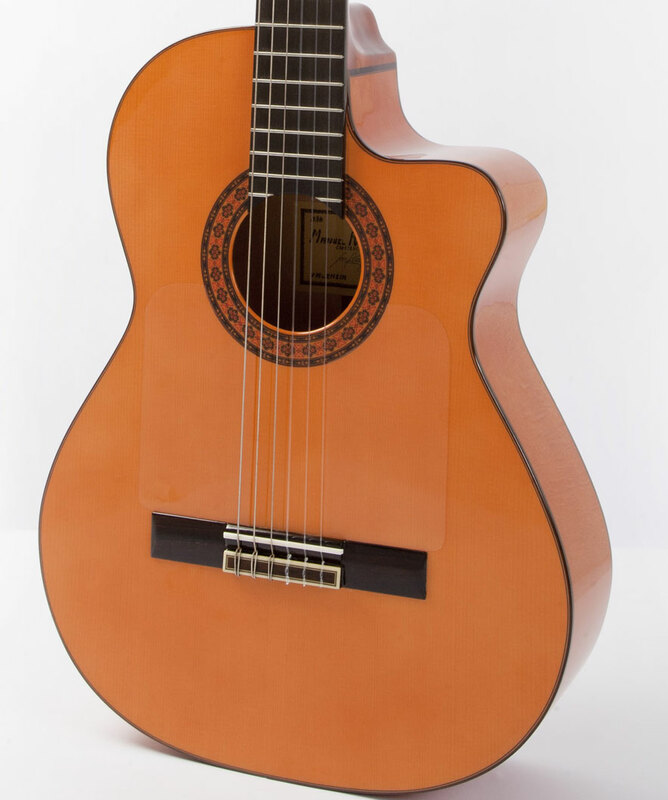 If you want to get into the fabulous experience of controlling with your guitar different instruments or blending the sound of your guitar with those instruments without compromising your guitar sound and technique and enjoy at the same time a fantastic hand made flamenco guitar, the Raimundo 646 MIDI flamenco guitar is one of the best options in the market at a very competitive price. Great flamenco guitar hand made in Spain with solid woods and perfect craftsmanship, full balanced crispy sound, versatile instrument and mounted with one of the best polyphonic pickup systems in the market. Fully compatible with the majority of guitar to MIDI converters . And the good news is that you don’t have to travel to Spain to buy this guitar at the best price. You can just visit www.guitarfromspain.com and buy it there from all over the world. Posted in Acoustic Guitars, classical guitar music, Classical guitars, electro classical guitars, flamenco electric guitars, Flamenco guitar music, Flamenco guitars, flamenco instruments, MIDI guitar and tagged alhambra guitars, best classical guitar, best flamenco guitar, best midi classical guitar, best midi flamenco guitar, buy flamenco guitar, buy spanish guitar, classical guitar, falamenco guitar midi, flamenco guitar, Guitar, how to buy spanish guitar, MIDI, midi classical guitar, midi flamenco guitar, midi guitar, midi nylon guitar, midi pickups system, midi systems for guitar, Music, raimundo guitars, ramirez guitars, rmc polydrive, roland gr 55, spanish guitar, Spanish guitar making. Bookmark the permalink.